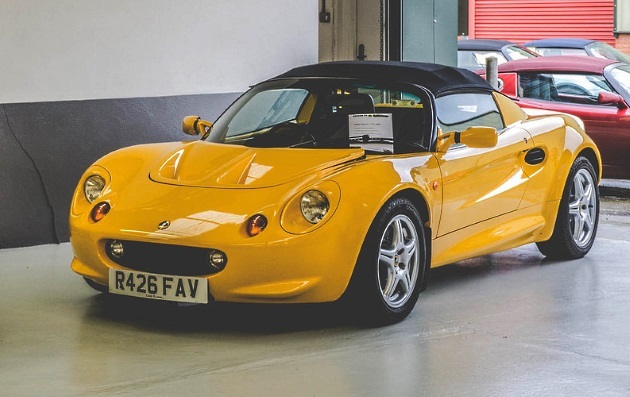 First registered in May 1998, this is a lovely example of an early Elise. With just one owner from new, and only 32,000 miles, cars in this original condition are increasingly scarce. Documented history including original bill of sale and correspondence with selling dealer. 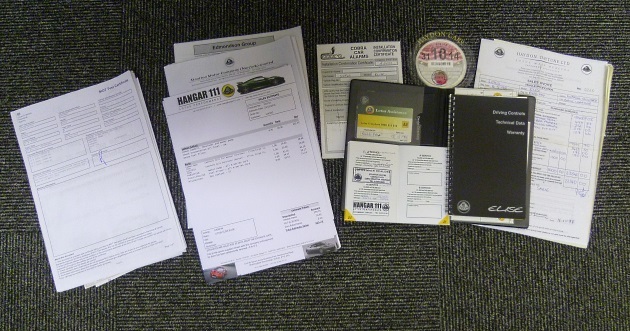 The car has recently received a full C service including cambelt and water pump at Hangar 111 Lotus. As an early lightweight model this car features MMC brakes – the only deviations from original spec are recent replacement aluminium radiator and H111 Signature exhaust silencer. Rarely available in this original condition, with a complete history file. Please contact Hangar 111 for further information. Vehicle is awaiting preparation – further images to follow. Beautiful original early Elise S1. Low mileage, with one owner from new. Rarely available in this original condition.